Mum of Five Staying Sane: This week brings the great Cadbury Creme Egg debate as they change the chocolate recipe and quantity in a box. Have they done the right thing? 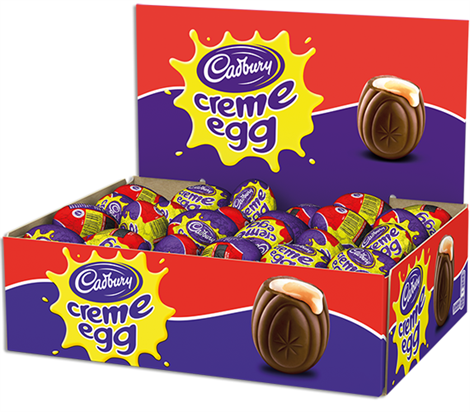 This week brings the great Cadbury Creme Egg debate as they change the chocolate recipe and quantity in a box. Have they done the right thing? At the beginning of the week I was shocked to discover that Cadbury's Creme Eggs now comes in a pack of five rather than a pack of six. Not that I was in the market for buying some that day, my Slimming World consultant wouldn't be pleased with me! I also thought it seemed odd that you can also still buy a 12 pack for the same price of two 5 packs. So why drop the quantity? I also thought that the whole concept was that you would buy normal eggs as a 6 or 12 pack so obviously Cadbury kept that thought when they originally thought of the quantities for their Creme Egg packets. Aside from the drop in quantity they have also changed the chocolate that they use. Cadbury have stated that they did extensive consumer testing when looking to change the chocolate and the best chocolate was chosen to be used for the Creme Egg. 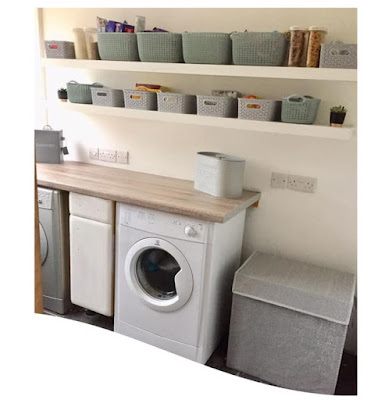 They also state that a Creme Egg was never marketed as a Cadbury Dairy Milk Creme Egg although we all know that it was Dairy Milk wrapped around that tempting gooey interior. The recipe has been replaced with 'standard cocoa mix chocolate'. According to sources it has been said that 'a range of economic factors' contributed to the change and Cadbury are unlikely to backtrack. 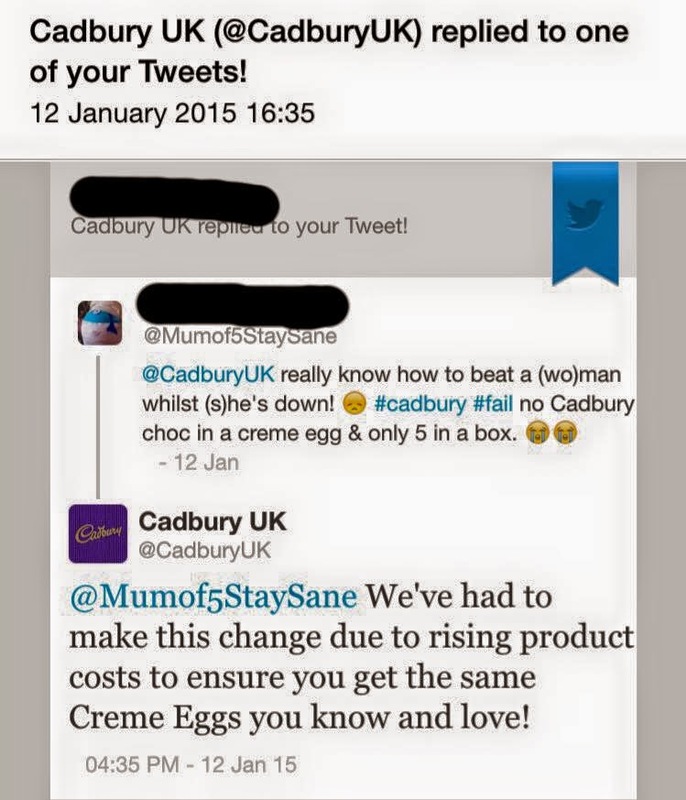 My response from Cadbury UK on Twitter. If it's been changed then it's not the same Creme Egg that we know and love is it?? This is a tempting Easter treat that is loved by many, many people. It landed on the shelves of stores before Santa had even finished delivering all of his Christmas presents but people were soon annoyed by the changes. Why change something when there is nothing wrong with it in the first place? Do you agree with the change? Have you tried the new Creme Egg? Maybe you prefer the new one? Would you have preferred to keep the old 'Dairy Milk' Creme Egg and paid a higher price for it if it meant keeping the same Creme Egg recipe?